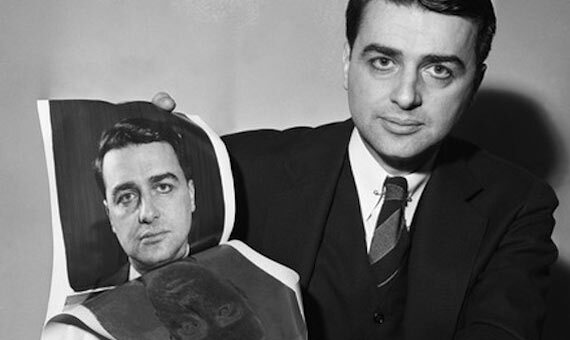 On February 21, 1947, Edwin H. Land demonstrated to the US Optical Society something that seemed almost a magic trick: a camera that could take a photograph and then develop it in 60 seconds. Such was the success of his invention that at Christmas the following year, the Polaroid Model 95 camera and its Type 40 film went on sale at the Jordan Marsh department store in Boston for $89.75, an affordable price directed at a middle class America once again ready to spend after the end of the Second World War. And spend they did, not only in the US but across the globe. 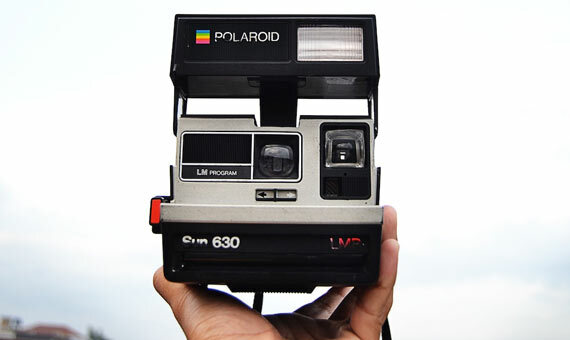 Polaroid cameras and film revolutionized the world of photography in its most popular use, that of capturing holiday memories or family events. The possibility of seeing an image immediately after its capture would not have a successor until more than half a century later, with the advent of digital photography. Land’s invention was the fruit of an early interest in science and its application to great innovation, that which changes the rules of the game. This Harvard student born in 1909 in Bridgeport, Connecticut never finished his studies, because as a young man he embarked on projects that were to be “manifestly important and nearly impossible,” in his own words. Interested in the properties of light, he began developing polarizing filters, which he brought to the market in 1932 along with his partner George Wheelwright. Five years later, the company Land-Wheelwright Laboratories would change its name to Polaroid. But to compress a dark room and all the chemical reactants needed to develop the film and fix the image inside the housing of a camera was not straightforward. The first Polaroid photographs, in sepia instead of black and white, curled within a few months of their creation. But when Land had a goal, nothing kept him from it; he often went long periods without eating or changing his clothes. He has been compared to Steve Jobs, and not by chance—the Apple co-founder confessed that Land was his idol. In 1963, colour came to Polaroid photos, and for decades the company enjoyed smooth sailing as its cameras spread throughout the world. Its dominance went beyond just family photos or the primitive selfie—Land produced a series of giant cameras for use by artists, and figures such as Andy Warhol were lavish in their use of Polaroids. This success attracted competitors like Fuji, in addition to prompting a bitter patent dispute with Kodak, who wanted to launch its own line of instant cameras after manufacturing film for Land’s company. But then digital photography came along. The first consumer cameras invaded the market in the 1990s, and Polaroid ended up becoming a relic. Its founder did not live to see the disaster: he died in 1991. And although by then the company was still enjoyed peak sales, the collapse soon after was dizzying. After a first bankruptcy in 2001, a re-founding failed to revive it, and in 2008 the company went bankrupt again. At the forefront was the eclectic Florian Doc Kaps, a biologist and entrepreneur in love with Polaroid technology because, according to what he told OpenMind, “you don’t have to shake it to feel the magic.” In 2013, they launched a device that allows users to expose onto film images taken with an iPhone, and in 2016 they started selling their own camera, the I-1, an instant analogue camera with digital controls. It would seem that instant photography lives on today in a new golden age—without as many followers as its old apogee, but with more passionate ones. Virtual meeting points like Polanoid.net, co-founded by Kaps, have thousands of registered users, and many current artists are addicted to the format. 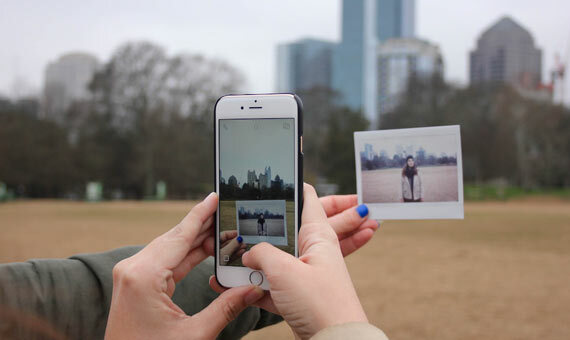 According to what Gil Pasternak, a researcher at the Photographic History Research Centre (PHRC) of De Montfort University (UK), tells OpenMind, digital imaging is still the standard in the journalistic, editorial and commercial field, but there is a “return to analogue photography” in other environments. Pasternak has carried out a study, still unpublished, in which he has investigated the reasons for this interest. Part of it is nostalgia, but even among digital natives there is the discovery of a process that for them is “magical and unusual,” and which sometimes gives them more space for creativity. Perhaps this different tenor between the two technologies can facilitate their long-term coexistence, as has happened with radio and television, or cinema and video. For Geoffrey Belknap, a historian of visual culture at the University of Leicester (UK) and author of the recent book From a Photograph: Authenticity, Science and the Periodical Press, 1870-1890 (Bloomsbury, 2016), each technology offers “a specific lens on the world” and a particular “material presence,” he says to OpenMind. “I wouldn’t say that we are going back to analogue technologies. We are just starting to remember the specificity of their value for doing work that digital images can’t do,” he adds.